Award-winning author Matt J Pike returns with a gripping new series. For teenager Jack Baldwin, life as he knows it has always had an easy rhythm – family, friends, school and a regular schedule of Xbox. But when he’s tipped off to impending global catastrophe, his casual existence is shaken to the core. Emerging from impact night, when a comet wipes out most of Earth’s population, Jack quickly realises the real battle for survival has just begun. 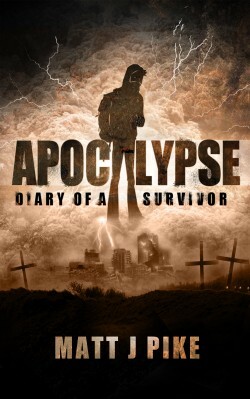 As supplies run low, the military disappears, neighbours turn on each other and the body count mounts, fellow survivors fast become the biggest threat of all. But they hadn’t counted on his resources and resourcefulness.